The new Kia Optima is here and available to test drive at Gerald Kia of Naperville! With inventive technological features like Android Auto™ and Apple CarPlay™ connectivity, the Optima keeps you connected while you drive down the Plainfield roads. This formidable Kia offering also boasts available 245 hp and has a Sportmatic® sports shifter mode to kick your drive into high gear. Come down to Naperville today to explore all this new Kia has to bring. Check out our new vehicle incentives before you come to our Kia car dealership for an extra added value. These features and more make the Optima a vehicle you’ll want to see for yourself at our Kia dealership nearby Downers Grove. When you’ve reviewed our inventory of amazing new Optima sedans, come down to Naperville to step into this impressive Kia offering or compare the Optima vs. Honda Accord. If you happen to be a student who’s recently graduated college, Gerald Kia of Naperville provides a college graduate incentive on your new Kia that’s hard to pass up. Along with the Gerald-exclusive lifetime warranty, stepping into a new Kia has never been more tempting! 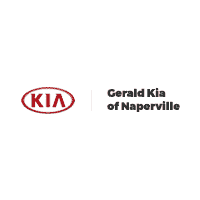 Contact us today when you’re ready to start your new car purchase with the help of Gerald Kia of Naperville.